From her home in Stuttgart, Germany, Karin Jehle lives with her husband and two cats. 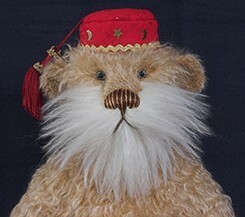 She started to create her "Lovable Fellows" just over thirteen years ago and is still fascinated by the teddy bear; both as an artist and as a collector. 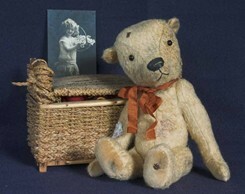 Teddy bears have always had a special place in Karin's life. 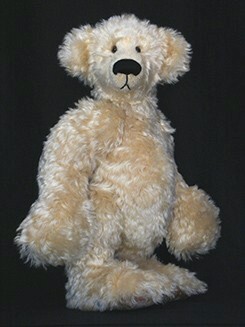 "Already as a child, I had a teddy bear. 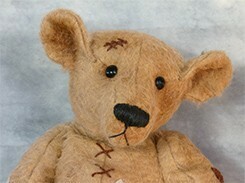 It was an old Hermann bear, which was also the childhood bear from my mother." 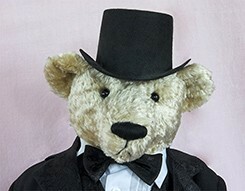 However, as happens so often, the bear was forgotten for a while, sitting in the attic for many years. Now the bear sits beside her bed to remind her of her past. "With the teddy bears, I feel like I keep a part of my childhood," she said. "They are the best remedy against stress and trouble; they give comfort and they are good listeners and faithful companions." 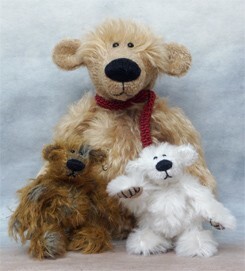 Karin's passion for bear making began in 1994 when she was on her way to work and passed a shop window, out of which, several teddy bears looked at her. "It was love at first sight," Karin recalled excitedly. 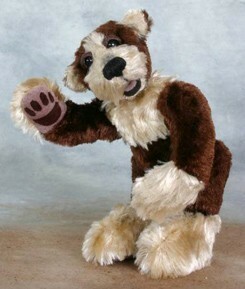 In the shop, they held bear making courses, of which Karin attended. "I was fascinated by my first self made bear and was infected by the so-called "bear virus" from that moment," she remarked. 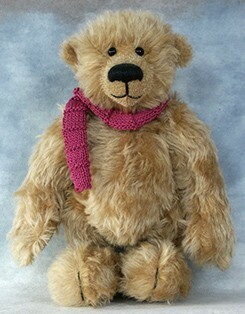 Soon she began designing her own bears and calling them "Lovable Fellows." 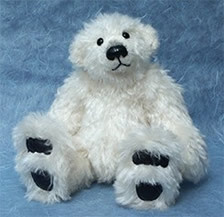 Karin's bears range from 1.5" to 27" in size. 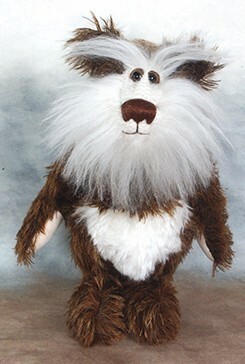 She loves trying new designs and ideas, loves experimenting with new materials, patterns and techniques such as needle sculpting, needle felting, eye lidding, airbrushing and jointing. With her head full of new ideas, she loves to create a large variety of styles. 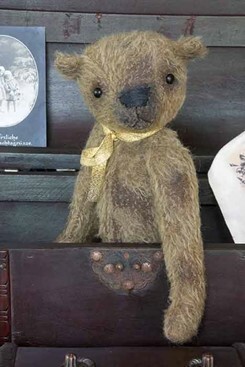 "I love the antique looking bears which look like they were loved by generations of family members." "The most beautiful experience for me was when a widow, who had adopted some of my bears, wrote to me to tell me that my bears gave her so much comfort and she no longer felt alone." 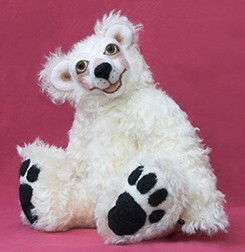 Karin finds it very important that every bear has its own personality and is a real pal. "They have to convey that they really live," she said, ensuring many generations to come will treasure, love and pass down her creations as well. 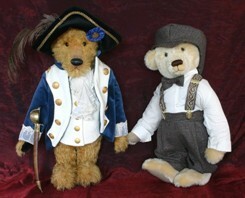 Karin Jehle - Loveable Fellows was also featured in March's 2009 Teddy Patch Newletter. Click on the logo and enjoy reading more about Karin.